The 2016-17 Basketball Champions League was the inaugural season of the Basketball Champions League, a European professional basketball competition for clubs that was launched by FIBA. The competition began on 27 September 2016, with the qualifying rounds, and concluded on 30 April 2017 at the Final Four tournament in Tenerife. Big medals for big stars! Professional basketball players are some of the biggest human beings on the planet. It’s easy to forget that fact watching a game where all the players are equally huge. That’s why these medals needed to be super-sized to look right. 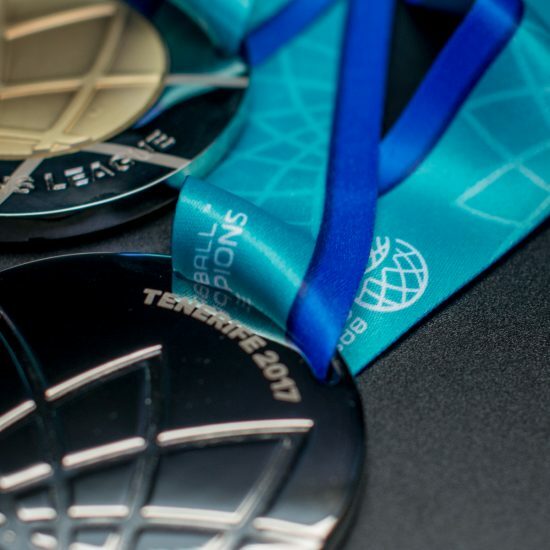 At 86mm diameter (nearly 3 1/2″), 10mm thick and weighing a hefty 280g each, they are easily the largest medals we’ve ever made. Even the 35mm wide ribbon needed to be manufactured by a specialist source. The medals featured satin gold, silver and bronze discs set within a polished silver bezel. The die cast production method enabled us to create a combination of raised and recessed brand mark tracery elements that span the medal front and back. The result is a truly impressive medal. 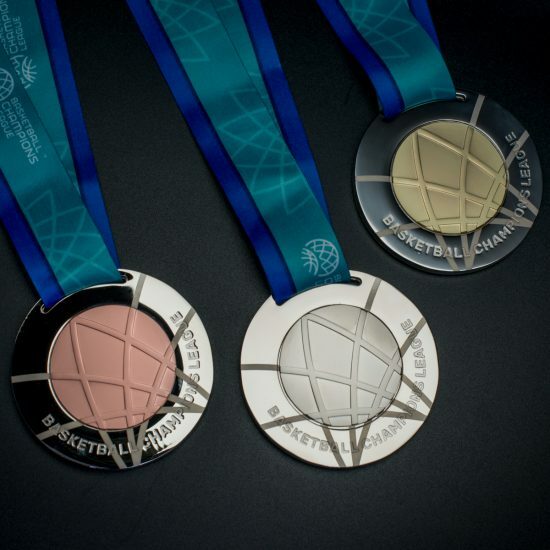 The production of the medals had to be completed without knowing the location of the venue for the finals. For this reason “Tenerife” 2017 appears laser engraved on the rear rather than case into the medal. The medals were each presented in a silk screen printed black cloth back for protection and were well received by the client. Iberostar Tenerife became the first ever winners of the Basketball Champions League with a 63-59 win over Banvit in the Final.